Naomi attended New York Comic Con this year. And with that, comes awesome geekery. Lauren Damon of Media Mikes tracked Naomi down and asked some wonderful questions. And our favorite writer responded to them! Lauren Damon: When planning the novels, because they’re centered around the Napoleonic Wars, do you have an outline of what history is going on or do you start with your plot? 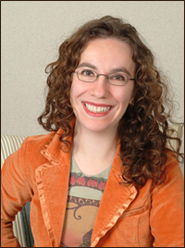 Naomi Novik: Oh I definitely check the history first and sort of look into the details. I have a general sense of where the plot is going because I know where the Napoleonic Wars go and I know how I modify the Napoleonic Wars so in that sense I know before I go in. But in terms of figuring out how the details of my plot are going to dovetail the details of history, it’s sort of like a back and forth. I generally get the broad strokes of the historical events first, make sure my plot works with that and then as I write, I generally check on the more specific details to make sure that I’m not contradicting something. To continue reading the interview, click HERE! Tom Hiddleston is Naomi’s choice to play Laurence? Geez I wish that would happen!